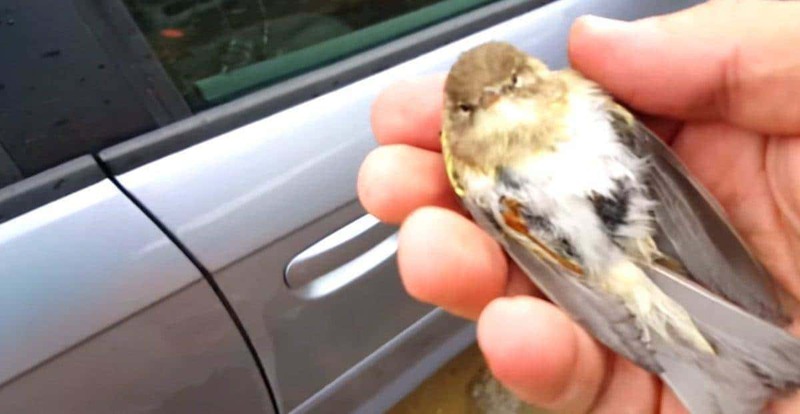 An online video shows Ron Holan from Norway, rescue a tiny baby bird that he found trapped under his roof box on his car on a cold and on a rainy day. The video can be found at the foot of this article. Holan recorded the entire adorable event as he discovers the bird wedged between the roof and the container. The video shows the 32-year-old gently use a piece of cardboard to gently slide it from its trapped position, but it did not seem well and he feared the worst. 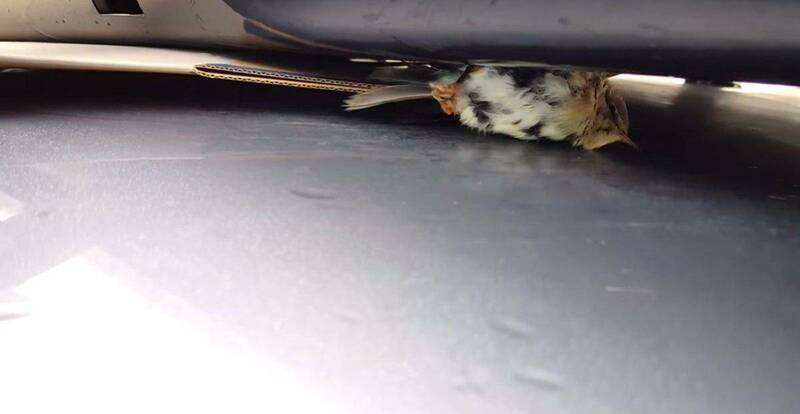 The tiny bird was shivering, it was only about the size of his thumb, and it was almost motionless at this point. Holan decided to put it in his car and turned up the heat to the maximum. The animal was placed on the seat and wrapped in a sweatshirt as it nestled next to a bag of cashews. After about 10 to 15 minutes the bird warmed up enough to stand and then move about. He then started trying to fly and became very impatient to leave as it kept trying to fly out the closed window. Finally, the door opened and the bird beautifully flew off and made its way back to nature. Holan said the attention he has received for his video has been Insane. “I’m blown away by the attention it has generated since what I did was something I find as a normal thing to do,” he said.